Snap beans are grown on a variety of farms throughout New York State. They are sold at roadside stands and other retail markets, wholesale markets and for processing. Snap beans come in many varieties to meet the needs of various markets and growers should consult seed suppliers and markets to select appropriate varieties. New York typically ranks 2nd or 3rd in the nation for processing snap bean production with 20,610 acres grown in 2014 (2014 Vegetable Summary). Similarly, the production of nearly 10,200 acres of fresh market beans consistently places New York in the top five producing states. 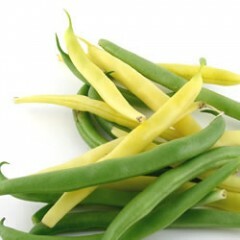 All snap beans share a general group of insects, diseases and abiotic disorders. While weed control strategies may vary with farm type and size of plantings, herbicides labeled for production are consistent for all types. Cornell Cooperative Extension Educators and Cornell faculty work together annually to conduct research on many aspects of snap bean production in the state. Below you will find educational information and results of our research trials.